“Story Teller will bring … stories to your children in a new way by combining the values of a book with the excitement of a sound recording. Each issue contains a rich mixture of classical and original stories, with specially commissioned illustrations from some of the best artists working in children’s books today. And all the characters come to life with the voices of well-known actors and actresses who bring their own style to the recordings. 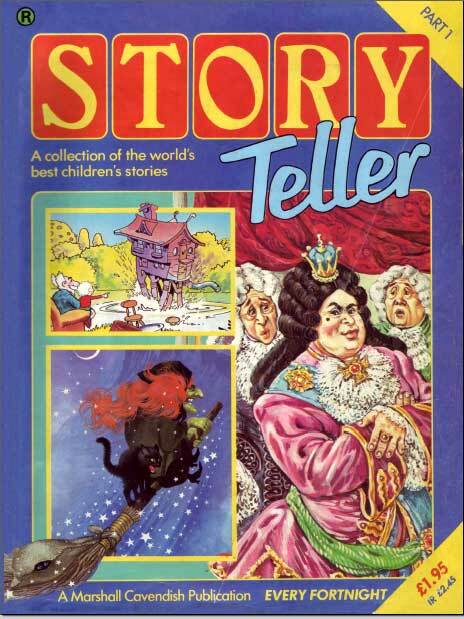 I bought the complete Story Teller 1 set and the first few of 2 for my two daughters back in the 80’s fortnight by fortnight. They were fantastic. My two daughters loved them and have both managed (via e-bay) to get hold of sets for their children. My son loved them too during the 90’s. I’d love to see them reissued for a new generation as they were of such good quality with amazing contributors. 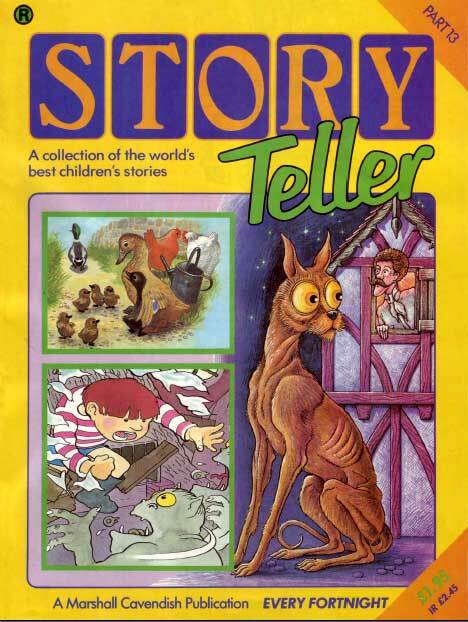 Hi there, I have been a fan of story teller since it first came out. Do you still have the PDFs of the magazine scans? Kind regards. 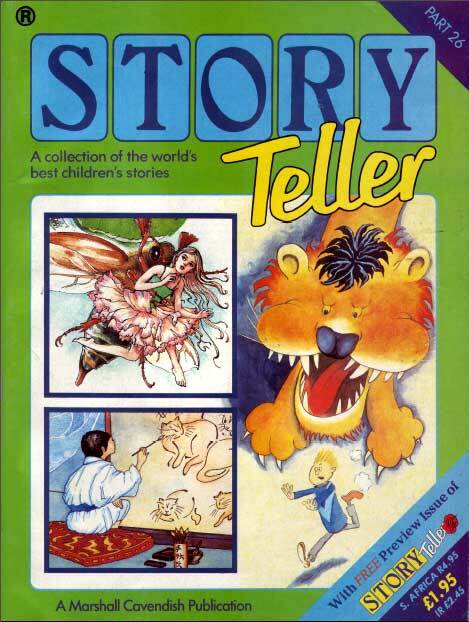 hi i am on the hunt for story teller 1, im missing number 10 and 13 onwards, although i liked the tapes its not so important. its the magazines id like my boys love the parts we already have and are fast making their way through them.Any idea where i can get them? 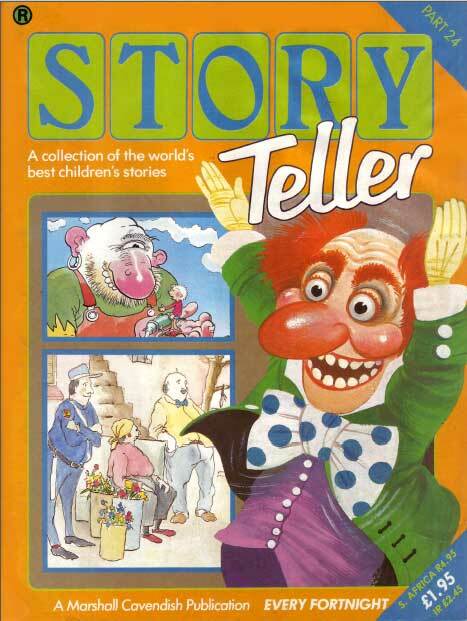 I collected all of story teller 1 as a child and luckily decided to keep the set for my own children some day. Now I can’t beleive it is 27-28 years later and I am reading them to my daughter. She too loves them and I get such a kick out of reading them again. I still have the tapes but am afraid to play them now, some of them have become tight and I am worried they will snap. 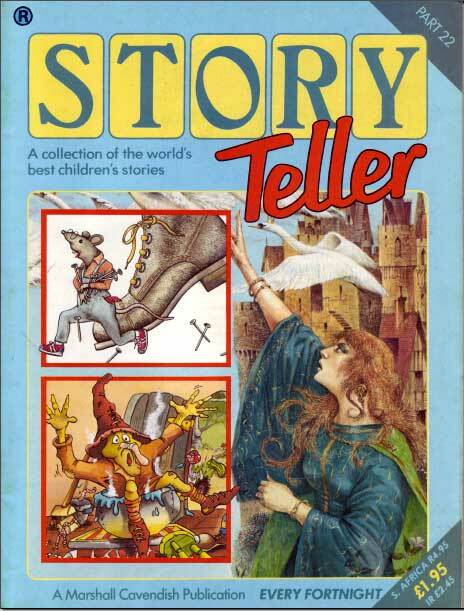 I do so wish they could be made available on cd as the narrating, sound effects and music were just another contribution to the beautiful illustrations of the books and I still remember the way I felt about each story when I look at them now. I have the complete collection. In MP3 format and scans of all the books. How do you buy these now? I loved them as a child, but would love to have my children also enjoy them. 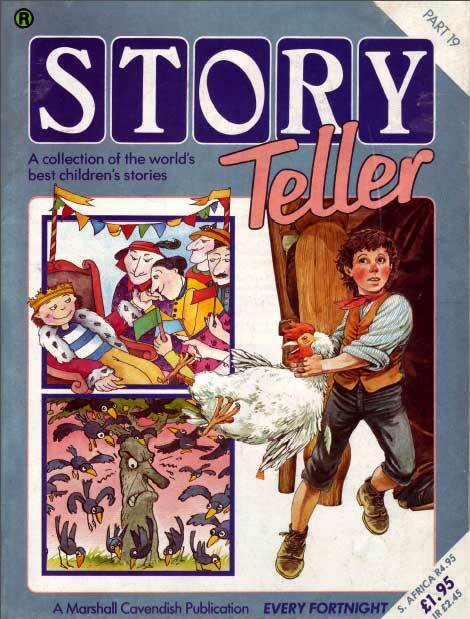 I still have a storyteller tape (molly whopie) I think it was number 9 and my kids love it, but it’s now so old it’s hard to hear it clearly. Does anyone know a way to purchase these again? I had my husband convert the tapes I had onto CD. We are missing a few but I am thrilled that we now have most of both storyteller 1 and 2 on disc. Not hard to do and it means the tapes are not at risk of further deterioration. 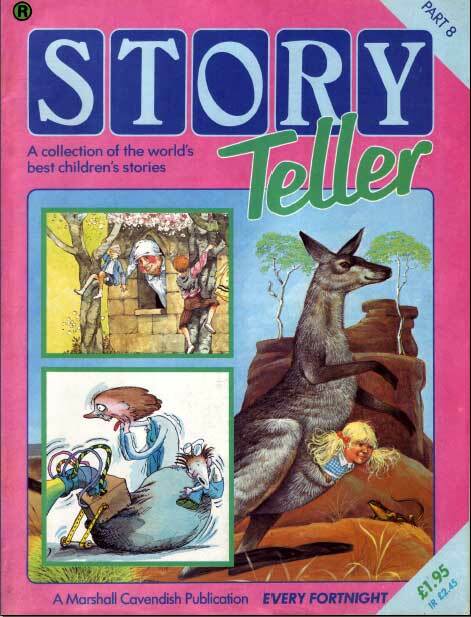 Gosh, just reading back through the names of the stories is making me gasp with the memories! I so wish they would re-release the tapes on CD. We collected them as children but don’t know how many my parents still have. Would have to fight my sister for them too I should think! Always remember Dot and the Kangaroo, Gobolina the witch’s cat, the last slice of rainbow. I grew up with these tapes. I’m now 30 years of age, and I still have these tapes. I cannot express how much I love them or how much they impacted me. Every child should be brought up with these tapes. So imagine how absolutely, unbelievably THRILLED I was to discover someone has converted ALL the tapes AND magazines and put them on DVD. I’m probably not supposed to do this, but I’m going to post the link, because I know people are going to want them. I’ve already ordered my own copy. Mum will soon order hers. 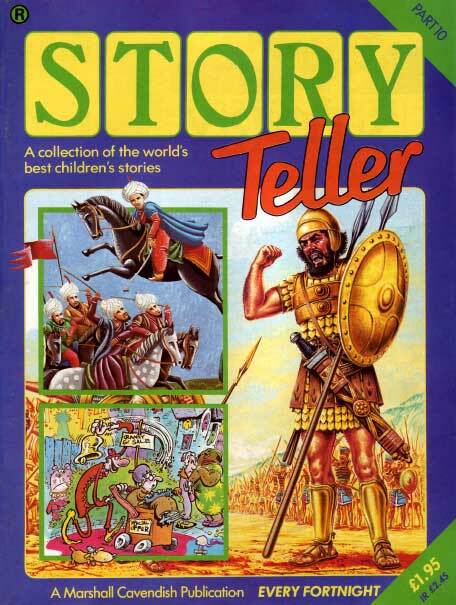 Anita I am trying to track all story teller times for my son. I loved them as a boy. Please can you help. Please let me know where I can buy the series on DVD or cd as you suggested. They are awesome. Please help. Do you still have a copy of the scans of all the magazine pages? I’m desperate. Kind regards. Im 32 and I still have all the tapes in the case and booklets in binders… but in French, as this is my first language. Ive always thought Id keep these for when I have children of my own. Now I live with my English husband and have a 5 year old boy who doesnt speak French and would really love to have those in English. Im very sad that I cannot buy the collection. It really needs to be republished on CD as Im sure most of the original tapes would have been damaged after all that time. Hope it happens and soon so my son can enjoy them! Par contre, pourriez-vous mettre en ligne les histoires en français? Ou bien me les envoyer par mail? I have the entire collection available on megaupload, all tapes, magazines(pdf) and inserts, Story teller 1, Story Teller 2, Little Story Teller, if this helps anyone. Hi Farscape, are they still there? I’d love them! These would be ideal for my grandson who is 6 and fighting cancer. He is unable to speak and I would love to get these for him. Please help. Do you still have the pdf magazine files!?? Hi do you still have the collection? Please could I have a link all the magazine pages? I’m desperate. Thanking you in advance. Kind regards. this is the est choice as the tapes can spoil after alot of use and the mags will get ripped easily due to the age of them. Thank you so, SO much for posting these – these files are terrific and I am so grateful as my collection has slowly been lost over the years. Brings back so many happy childhood memories. Just so you know one of the files is corrupted (storyteller2, part 2), but all others worked perfectly. THANKS AGAIN! I would also love to get these for my nephew and a young lad in USA I send gifts to. The link here doesn’t work any more. Have you uploaded elsewhere since or would you consider doing so please? Also, has anyone else tried tracking down the owners of the rights and suggesting a reissue with CDs due to the interest there is in the series? I adored mine but they sadly got lost in various moves over the years. Hi Farscape247 i cant seem to download them and i am desperate to have them. Had a few cassettes and books as a child and I loved them. Would be lovely to have them for my son. Is the download still available? Do you have another link for this collection? I’m desperate to find scans of all the magazine pages. Kind regards. This is awesome, I’ve been periodically checking the internet over the years to see if anyone had uploaded the story teller tapes, so glad it’s finally happened! Yeah that story was creeeeeepy! It’s Mr Miacca from #25. Little Story Teller, the Christmas Specials and Raconte-Moi des Histoires (the French version of Story Teller) will also be available soon! Wow! I am amazed at Finding this. 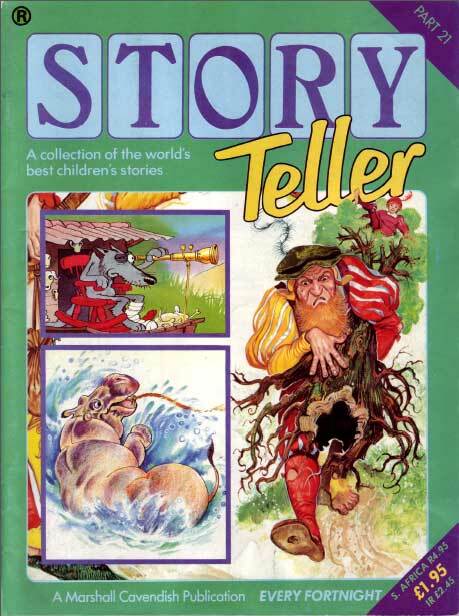 I used to love falling asleep to the wonderful stories as a child and now delighted to re live them over again. I only ever had Story Teller 1 tape 14, so I am very glad to finally find the rest. I can give these to my niece when she is older. Thank you. Storyteller are wonderful! 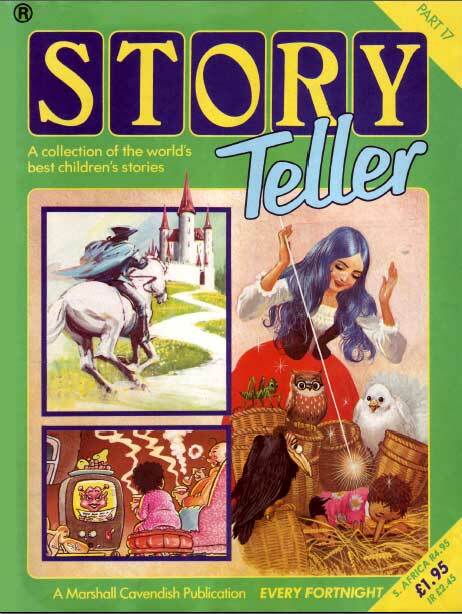 I also bought them all for my three children and my daughter has most of storyteller 1 for her daughter. The publisher has no intention of republishing, which is a shame. Does anyone have a copy of tapes 22 and 25 I could borrow (I promise to return them), so we could listen to part 5 of Heidi and the final part of Aldo in Arcadia! Remember this fondly from when I was a kid. Would love it to come out on CD, I have started reading the stories from the different sources off the internet. Hi, Not sure if anyone would be interested, but I have the complete Volume 1 for sale on ebay at the moment…. The link for megaupload forum is dead. Any chance of a reupload elsewhere? Does anyone remember what story this is? It’s been a while so my memory of it isn’t to clear. i thought i was the only one who still remembered these! 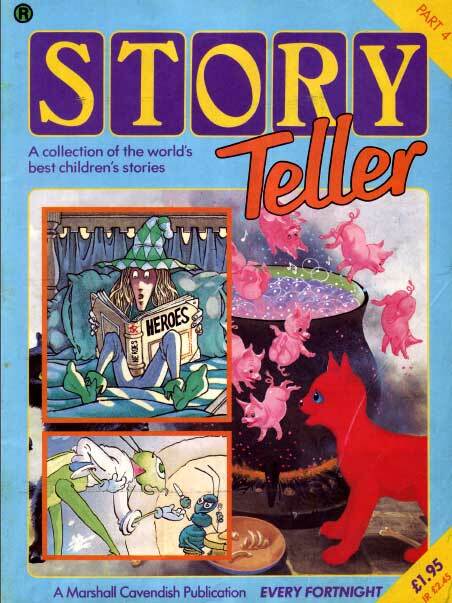 Im looking for story teller 1 books and tapes so my youngest can enjoy! The link is dead now! Any chance you could upload them elsewhere? DYING to have all of these! PLEASE HELP! Im in a bit of a pickle. My GF loved these books as a child and I was downloading them to give to her on her birthday. I have all the Tapes from MegaUpload But since the site has been shut down I have not been able to get the PDF version of the books anywhere. Would love to no if anyone has uploaded the Books anywhere? I dont mind uploading the tapes for people to use. But would need to be told the best way to do this? Please re upload farscape247. Or anyone else who has downloaded please share, thanks. Does this have scans from all the pages in the magazines? Kind regards. Hi, I have the complete set as a digital copy along with all the PDF files of the magazines. I used to sell copies on eBay years ago before I got told off. I wouldn’t know where to put them to share. But if anyone has any ideas please let me know. It would be so great if you uploaded these somewhere, or even sold through a different channel. All the torrents seem to be dead and so do any other download links. Would be amazing to have these as digital copies and I for one wouldn’t mind paying! Hi, would you consider Uploading to 4shared.com? Hi, do you by any chance still have the digital copy and pdf files. I really want a copy for my kids, I loved listening to them before bed and worn some out! Over the years they were thrown out by my parents. Please email me info. Do you still have scans of all the magazines? Kind regards. I agree. The old links are bad now, but if someone put to something new, I would buy them for a reasonable price. I did fine the on the UK amazon website, although they are ridiculously priced in my opinion. I would pay less for just even a digital copy or cd copy. Which was the story with the big green living slime lake? could anyone post a link for me? cheers! Hi all I’ve just come across my old tape box & magazines from series 1 & I’ve just noticed I never got number 25 – must have been naughty that fortnight!!! I was just wondering if anyone can point me in the right direction of where I may be able to get this. Hi just managed to get a copy of book & tape for £7 from a private sale on ebay. I have the entire first series including the christmas special in digital format, for anyone desperate for it, I’m just not sure on the best way to share. Perhaps emailed in a compressed file? or loaded to a torrent site? Teek seems to have got a good link to the downloads. Havn’t checked them out, but seems to be o.k. Just get u-torrent or vuze or your p.c and snap them up. Do you still have the audio and magazine scans? I’m desperate to get digital copies of everything, especially the magazines scans of all the pages. Kind regards. 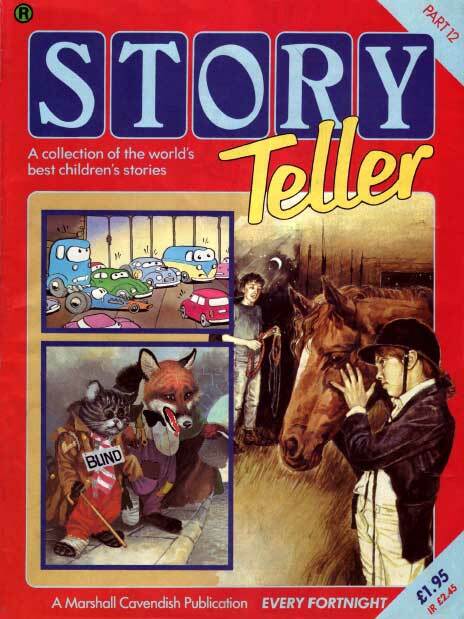 Hi, if you go to: https://www.google.com/search?q=Marshall+Cavendish+Story+Teller+Complete+Collection+Torrent you should be able to find a working link to the torrent which has the complete Story Teller collection (all the magazine scans and audio mp3s). Because the files are not zipped, you should be able to use your torrent program to select the specific files that you are looking for. Good luck. I would love this to be put onto CD’S. I have the first set still from when I was a boy and now I let my children listen to them. They absolutely love them as much as I did and do. The best place to find them these days is on e-bay. If they’re in good condition and both series are complete, you could get around £200. Members of the Facebook Story Teller Group (http://www.facebook.com/groups/storytellerpartwork/) are always looking to buy so might be an idea to “advertise” there. If you want to sell them I would love to buy them for my Granddaughter. Can you quote me for the set plus postage to Melbourne in Aus dollars please? That’s great thanks, both sets are in excellent condition and tapes as well in the carry case. Does this contain scans of all the pages in all the magazines? Kind regards. Thank you so much for this posting. I grew up with these tapes, in Spanish though. 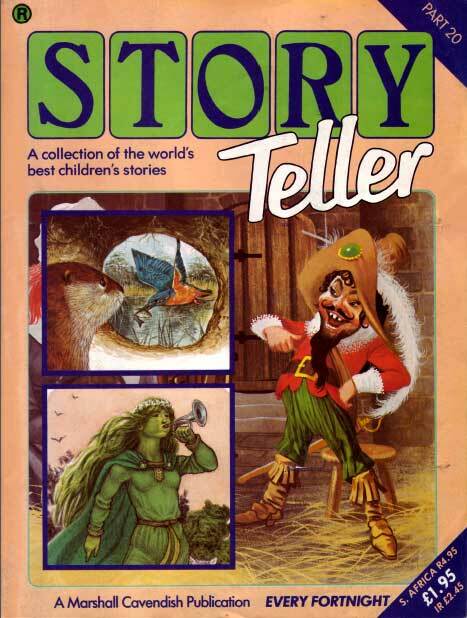 Now I share these tales with my children, it is absolutely terrific being able to listen to the stories in English. Omg! 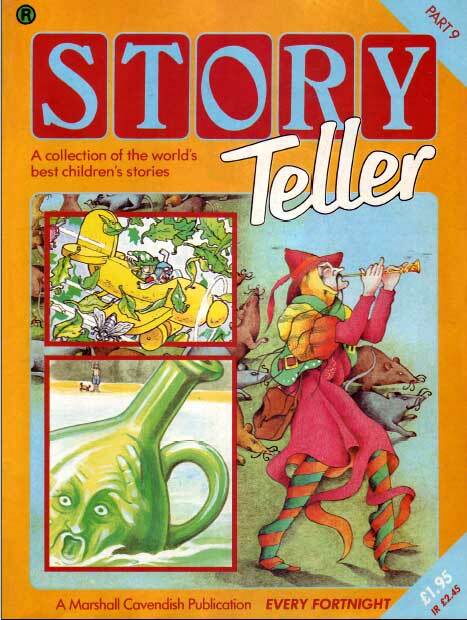 I’m so so so excited to come across this I had all of volume one when I was a child and loved these stories! I can play them to my little girl! (which is just an excuse for me to listen to then again!) good memories! Do you have the pictures of the front of the magazine covers for volume 1!?? I’d love to see all the covers again properly! I am so pleased to have found this website, and reading all the comments!! I had every single tape of set 1 and 2, and remember most of the stories on set 1 like it was yesterday!!! So pleased I can listen to them all again. Was overjoyed to find this website tonight. 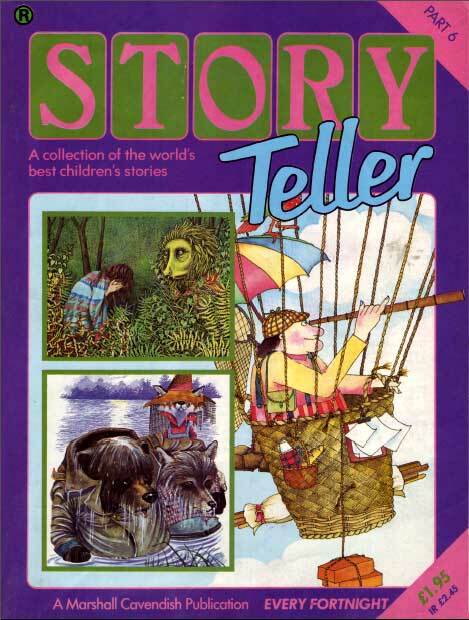 I had the story teller tapes as a child and loved them dearly, sadly I no longer have them and have been unable to find any to buy. I had told my children about them, so when I saw the utube recordings I was so pleased. Just listened to the shoe tree which was one of my favourites with my 6 years old son. He is desperate now to listen to some more! Thank you so much for going to the trouble of recording these! I would like to buy the entire collection if anyones selling? I live in Australia but have a Brother who’s in the U.K who could bring them back for me. Do let me know if anyones selling. I am not sure whether you found a set. I have a full set which I would like to sell but I am in SA. Hi Ingrid, I am in South Africa too and am desprately looking for a set! Please let me know if they are still available. My set was given away by my gran when I was a little girl. I am very lucky, I have all the magazines and the tapes are somewhere in my attic. It is these that inspired my love of books and I absolutely love sharing them with my children. Thank you so much for this site and adding the videos. It is wonderful to be able to show them the magazines while listening to the videos, it takes me back and is just as magical as when I was a child. I’d love to get the links for both the audio and the magazine scans. What a find. I was given the complete collection from a parent of twins I taught. I have used them in the classroom since 1991. I converted the collection last year using the downloadable ‘adacity’. It took time, so imagine how I felt when our IT guy cleaned my laptop last term and they disappeared. I will use this, thank you. 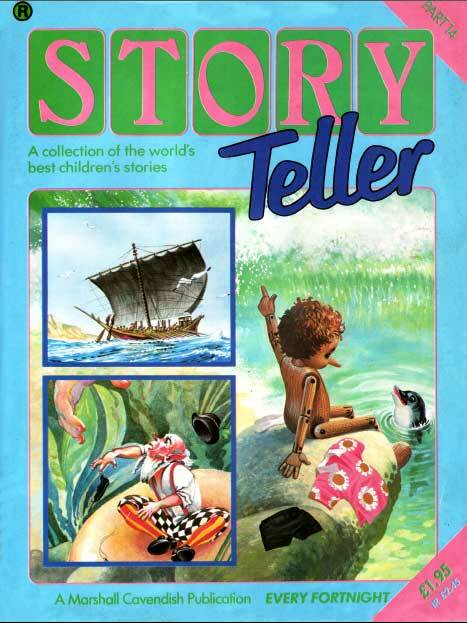 I’m thrilled to have re-discovered Storyteller! Thank you very much for creating this lovely website, it’s brought back many beautiful memories! 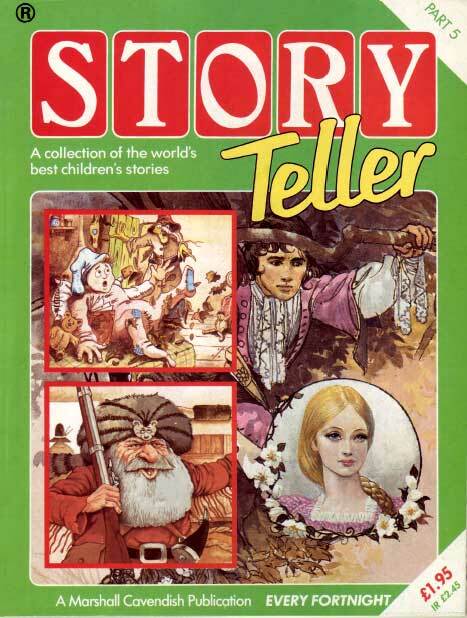 I recall the first Christmas edition with fond memories of the illustrations and magical stories. I’ve enjoyed relistening to Shelia Hancock tell the story of Gobolino the Witches Cat. I have been searching everywhere for these! 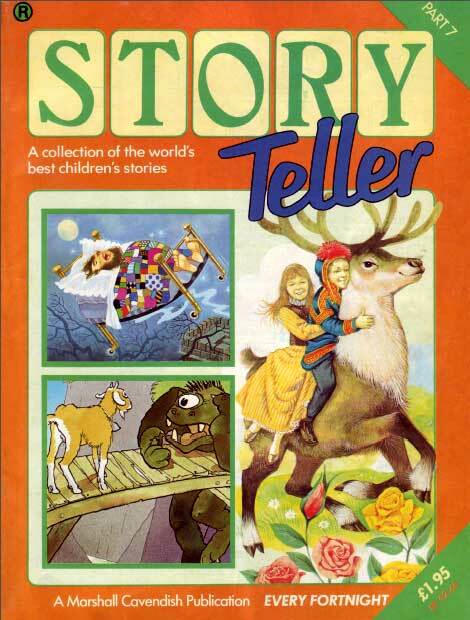 The Christmas Storyteller is a tradition at our house during the holidays! I have the full set of the first series but have lost the tapes in moving from South Africa to Australia and would love to get them. Can anyone help me. I would love another set of the books too. Amazing work – hearing these stories again brings back so many memories. Our collection was extremely well loved and used, and very little of it has survived. I’m so, so happy that my sons will now be able to hear these stories. I really do wish they would reissue the printed copies with CDs, what a treasure trove that would be. I LOOOOVED this when I was younger. I’m so devo that we got rid of it, I really want to listen to these again and look through the book; the artworks was great. Thanks for putting together this website – I used to listen to these when I was younger. The stories, narrators and music are fabulous. Really struggling to find digital copies of these. I’d love to share them with my kids but £100 on ebay seems a bit steep. Does anyone have any copies they would be willing to share? Andy. Try http://www.gobbycat.com/ Another person who contacted me asking to download my copies of series 1 put me onto it after they found it. It has everything. Both series, plus the little teller & all three christmas editions. To download them just select save to computer instead of view file when you open each one individually. Hopefully the page stays viable for a while. Enjoy people! Do you have another link to the magazine scans, as I think that website has expired now? I’m desperate for the scans of all the magazines. 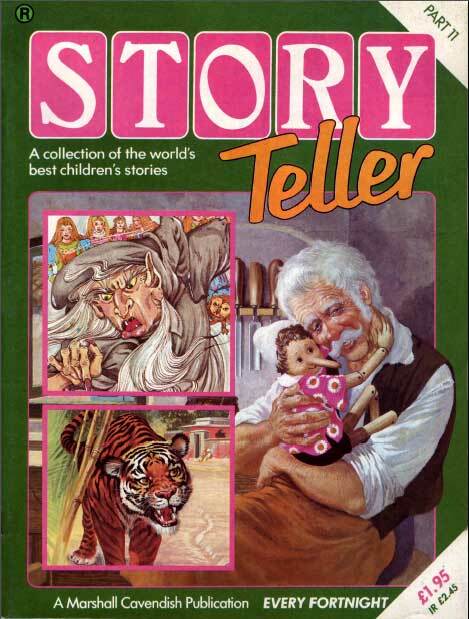 Never had the Storyteller 1 stories, my father tries to find them but couldn’t, but I might yet. How much are you looking for them? If reasonable then stick them up on ebay and I will more than likely buy them. Can’t speak for others but I doubt anybody here will purchase them blind from a stranger without some kind of back up. I have both storyteller 1and 2 in the binders complete and the cassette case complete. I would consider selling. How much would you want for the entire set? I can’t seem to find the audio and magazine scans on this page. Please could you help me? Thanks in advance. Oh, plus 2 Christmas story cassette’s and books…. I have every edition available for download on a torrent in re-mastered mp3 with crisp images in PDF of every magazine. 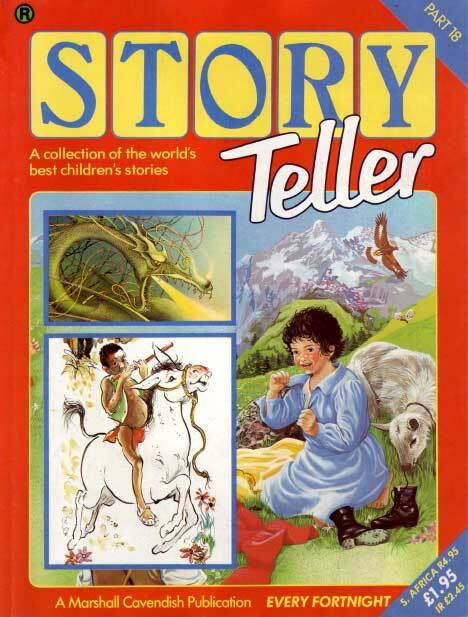 Story Teller 1 & 2, Little Story Teller and Christmas Story Teller editions. If anyone wants the link ask me. Hi Kevin, could you please send me the link, I actually just need the pdf for magazine 26 from part 1. It would be much appreciated. G’day Kevin, you absolute legend..!! May I please have your offered link, and I will be making good use of these classics from my childhood (after I revisit them all myself first of course) for my brand new daughter when she gets a little older, and in the classroom on my unsuspecting students, who will be in for a genuine storytelling treat. Champion effort bloke, cheers Tim. Please could I trouble you for the link? It would be very much appreciated. I’m desperate for the scans of the magazines. Thanking you in advance. Kind regards. 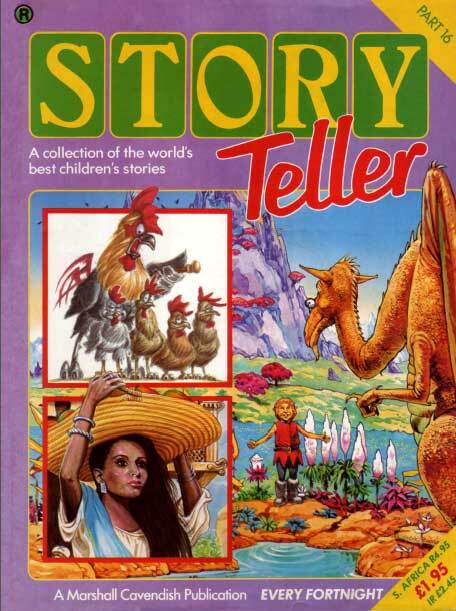 By the way, I also emailed EagleMoss about re-releasing the Story Teller editions and had a reply back stating they have no plans for re-releasing the stories. So unless you still own them, downloading the torrent is the way to go. I’ve reseeded ‘The Complete Marshall Cavendish Story Teller Digital Collection’ today. I originally downloaded it as a torrent (as mentioned by Teek above ) from isohunt I think – I couldn’t find the torrent file on isohunt I think because it closed but someone opened it again. The torrent isn’t on there anymore. The only torrent site I could find it on was LimeTorrents so I re-downloaded the torrent file, copied the data files to my HD and re-insterted it to Azureus to seed. There are no people sharing that file at the moment, maybe someone could get it and give me a hand keeping it alive. I was listening to it over the holiday, absolutely amazing. I’ve no idea why MC haven’t re-published it multiple times. It’s perfect for iPad and tablet – I’ve put it on my iPad. You can switch between pdf and itunes for playback of the audio and reference to the booklets. My mum originally bought me most of these in 1983 when I was 3. To this day the best media I remember from my Childhood. That and Asterix which I still read too. So please lets keep this torrent alive until someone re-publishes this. 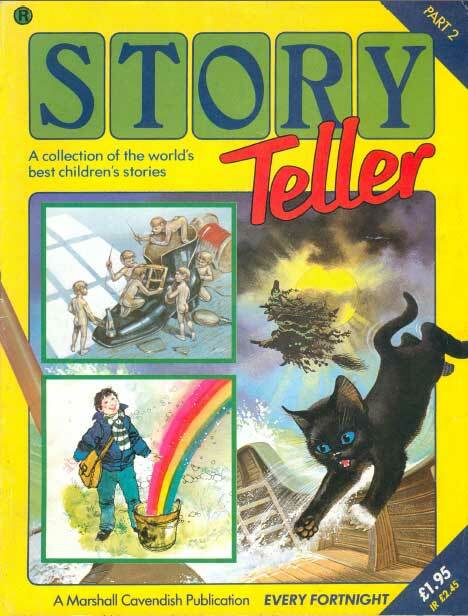 This page is the first hit when you search google for ‘The Complete Marshall Cavendish Story Teller Digital Collection’ so hopefully people will find it. I’m not a member of any forums of anything so feel free to post this information to your friends if they’ll be interested. This Archive should be permanently seeded. Thanks so much to the person who digitised this and the person who torrented it whoever they are. Hi Chai, unfortunately that site is now blocked for me. It was where I first met ‘Gobbolino the witches cat’ a story that I love to this day! 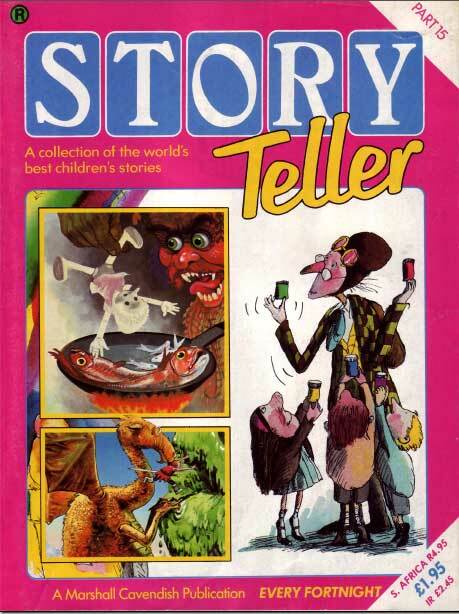 I still read the stories and hear the voices of the narrators in my head, conjures up such lovely childhood memories. Hi Tracy, how much are you selling them for? Thanks! I have no idea what to sell it for. How much are you willing to offer. Hi Tracy – I’m in Witbank – do you still have these? 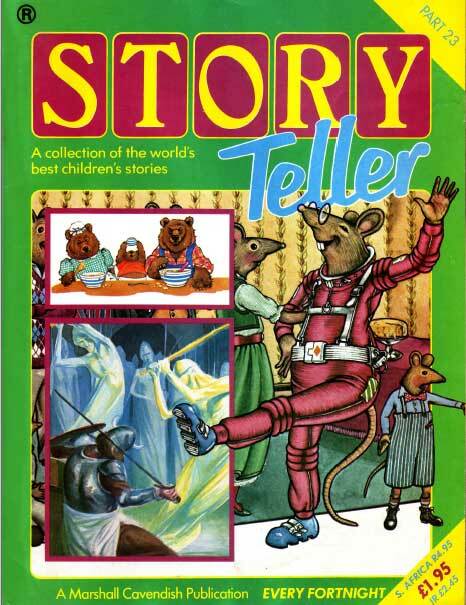 Did you find buyers for your StoryTeller Books and Tapes? Do you have the full collections? My younger sister and I used to listen to them back in the day and it also brings back such great memories and warm feelings. Yes I still have them. Please email me if you are interested. Hi Tracy, what condition are they in? Do you have photos? Thank you! It is in very good condition. E-mail address is tracy@kidisportz.co.za. e-mail me and I will send pictures. I would like to get a copy of the books 1&2 for my Autistic son. Hi Pauline. Where are you based? 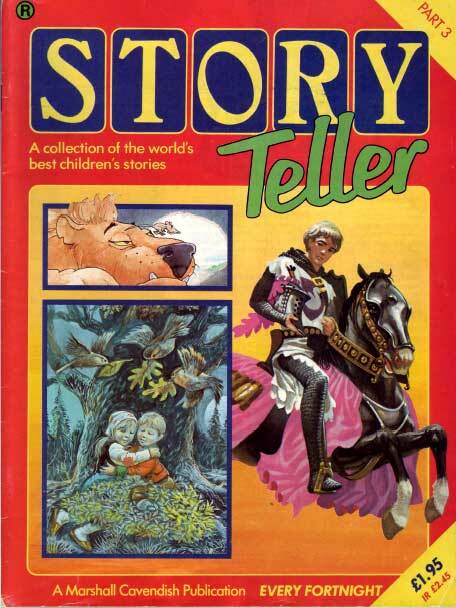 I have story teller 1 for sale no tapes for sale.. 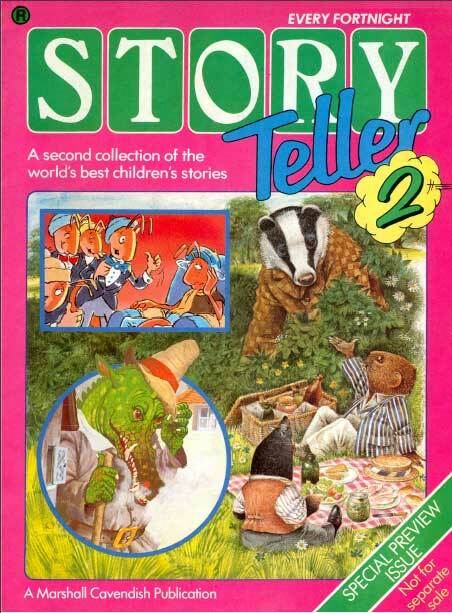 I have a full collection of both Story Teller 1 (26 issues and tapes) and Story Teller 2 (26 issues and tapes) complete with tape carry cases and the Christmas issues with their tapes. I have them currently listed on ebay, this is the link if anyone is interested please check it out. 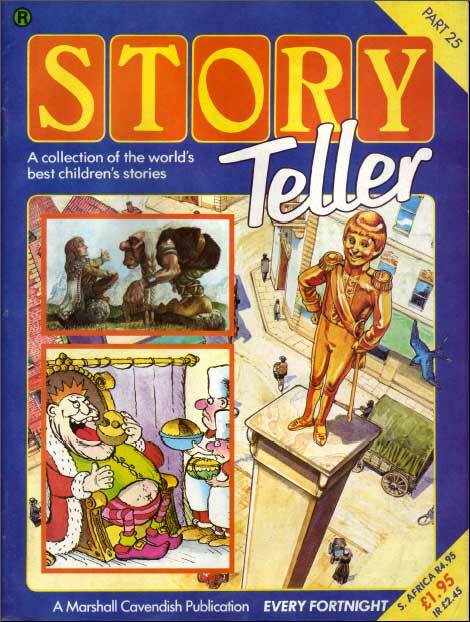 So thrilled to find out that people love Story Teller as much as I did as a child. I’m desperate to get digital scans of all the magazine pages! Please can some kind soul help me find them? This is Hayley Mills.Compare it with Rapunzel its the same voice. Its possible upload de pdfs? Forget the other message i can see the pdfs now, i change the view to list, i think that i had a problem with the page. Are these available to purchase?? i have now setup a proper channel on YouTube, currently 2 playlists are on there, story teller 1 collection fully up and not altered all i as high a quality as i can get them, tapes 1 – 12 now up for story teller 2, releasing 2 per week then will upload all of the little story tellers, taken quite a while, search for the channel Storyteller. I own the entire collection and obviously will not part with them but will share them freely to all. if ads do appear this is not me this is because some of the music in the collection gets flagged for copyright and they monetise them. please enjoy them.